I know, this isn't a Film and Television post, but I needed to fit this one in! I can't believe that we're almost in our last month of summer. I can't say that I'm too upset though--Autumn is my favorite season. 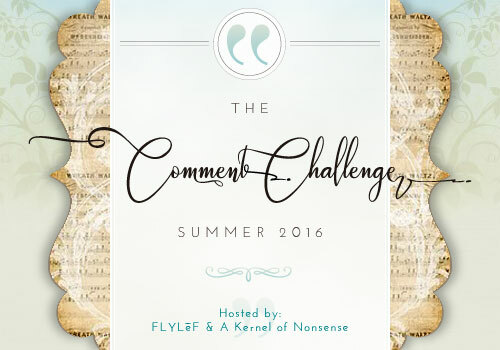 But, we are coming up on August, so it is time to do another Summer Comment Challenge post. I've done this for both June and July and gotten to know Kathryn at Book Date and Rita at View From My Books through the process. Since I've had so much fun so far, why not do it for another month? Part of this challenge is to do sign up post (so, you know, this post)....I'm going to copy the vital information below, but if you are at all interested in this I would highly recommend you give it a try! 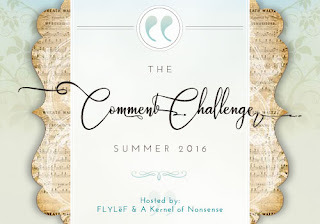 Sign Up: Starting today through the 21st, you can sign up for this challenge for August. Just answer a few questions on the Google Doc on one of the hosts' blogs. We will be emailing you a couple of days before August 1st to inform you of your partner.